With hundreds of new product introductions hitting the market each year, how can members of the trade make sense of which products to stock, which to drop and which to watch? 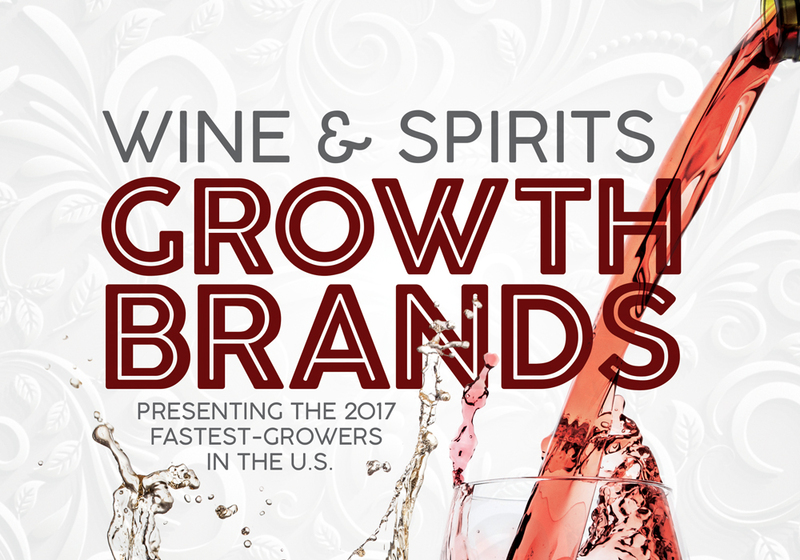 This year’s list of 136 Growth Brands in wine and spirits are a good place to start (the spirits winners will be posted next week), as these brands have all managed to stand out in a crowded industry and attract consumers’ attention. We’re proud to honor these 136 brands in four categories: Rising Stars, Fast Track Brands, Established Growth Brands and Comeback Brands. 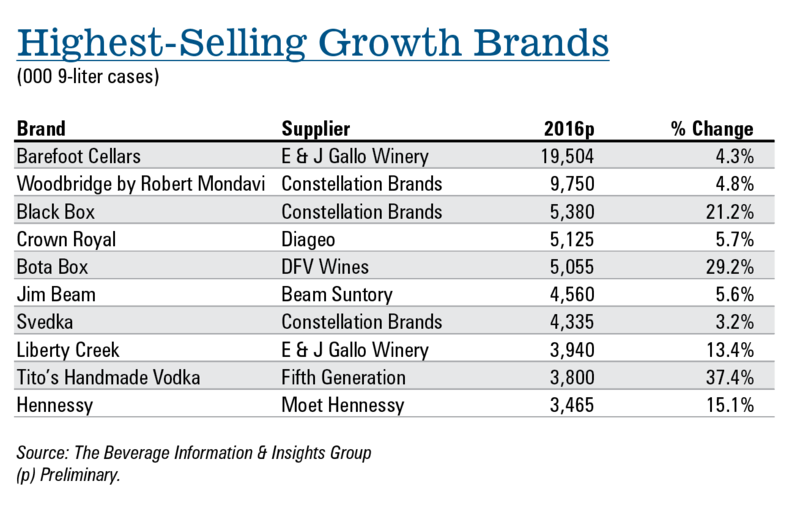 Their growth in 2016 was integral to the overall success of the beverage alcohol industry. We spoke to many of this year’s winners about what made them successful, from activation programs and packaging to new introductions and line extensions. They serve as an example that hopefuls in the beverage alcohol industry should closely follow and emulate. The Beverage Information & Insights Group (Beverage Dynamics’ parent company) determined this year’s winners using the following criteria, based on brands’ projected case sales for the 2016 calendar year. Cheers congratulates all 55 spirit and 81 wine winners, who were honored during a reception at the Wine & Spirits Wholesalers Convention in Orlando on April 18. 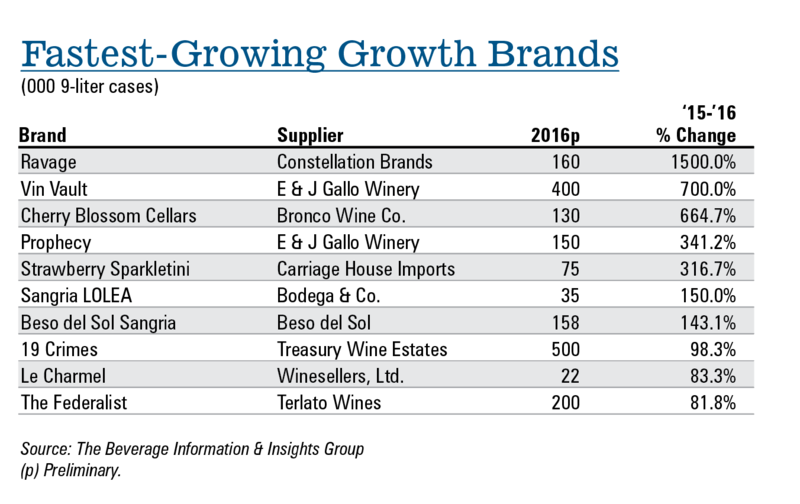 The wine category in 2016 saw its second consecutive year of 2% volume growth. After selling 332.1 million nine-liter cases in the U.S. in 2015, the category is projected to have reached 339.1 million cases last year. This puts 2016 in line with recent growth trends. The category has experienced 1% to 3% annual growth rates since 2011, as wine gains new fans from the youngest legal drinking age (LDA) generations, though it’s also fighting off emerging threats from craft beer and spirits. Millennials and their curious palates continue to define the market—as do adventurous drinkers in general. Perceptive brands tapped into the consumer spirit of exploration last year by releasing eye-catching bottles that showcased unique vineyards and varietals. Savvy use of social media also propelled contemporary-minded brands towards sales success. In terms of styles, it was a boom year for red blends and sparkling wines. Consumers no longer think of “blended” as a pejorative meaning “of lower quality.” Rather, it’s a positive term denoting finely tuned flavors. California red blends have benefitted from this trend, as have many winemakers from South America. Meanwhile, the boom in rosé and prosecco continues. More men are embracing rosé—long perceived to be a “woman’s drink” due to the pink hue—which has spawned the term “brosé.” Consumers overall are increasingly drinking bubblies year-round, rather than just at holidays and celebrations. Expect to see more of the same in 2017. Digital again played a huge role in 2016. Social media allowed companies to promote partnerships with charities and events. Creative point-of-sale materials and hashtag campaigns encouraged consumers to share branding and bottles on social media. 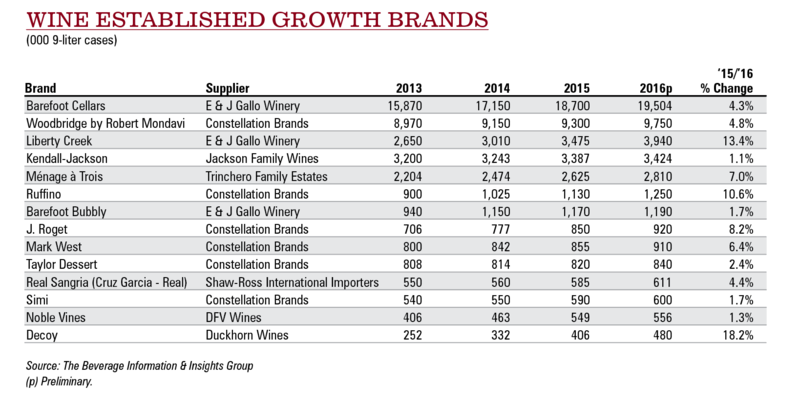 Wine brands remain keenly focused on Millennials—and for good reason. Research from the Wine Market Council found that 36% of wine drinkers in 2015 were part of this generation. That percentage is likely to have expanded in the years since, as Millennials make more money and develop savvier palates. Millennials love customizable products. Freixenet’s matte black bottle allows consumers to write on it with chalk. The black bottle also lends itself well to Halloween, “Millennials’ favorite holiday,” Scott says. To encourage this association, the brand offered sticker value-added packing (VAP) in 2016 that allowed people to “costumize” their bottles. This generation also enjoys experimenting across brands, varietals and countries—but at value-driven price points. They’re both adventurous and price-conscious. But it’s important to remember that wine drinkers are more than just Millennials, points out Todd Nelson, marketing and communication manager for Winesellers. The company’s Gran Passione wine brand won a Rising Star award for its growth since launching in 2013, including an 18.5% increase in volume to 32,000 cases in 2016. “The Gran Passione range fits into the value-driven niche geared towards Millennials, but also doesn’t alienate generations before them,” he says. “Authentic” is a quality that now appeals to a wide swath of wine drinkers. On one hand, this is due to the craft movement that’s also defining beer and spirits. On the other, in the age of handheld digital devices, consumers can instantly look up anything online. That means that big brands can no longer fake small-batch authenticity—though that doesn’t keep some from fudging the definition of “craft”). Wines had success in 2016 by being genuine and unique. “Trends in the market show that consumers are interested in family-owned wineries,” says Nelson. Consumers are intrigued by these wines and enjoy buying them because the products are “connecting with real people and the natural environment,” he notes. Nelson points towards this trend as a reason behind the Comeback award earned by the Winesellers brand Santa Julia. After dips in sales in 2013 and 2014, the brand rebounded big with 24.5% and 9.3% growth rates in 2015 and 2016, respectively. 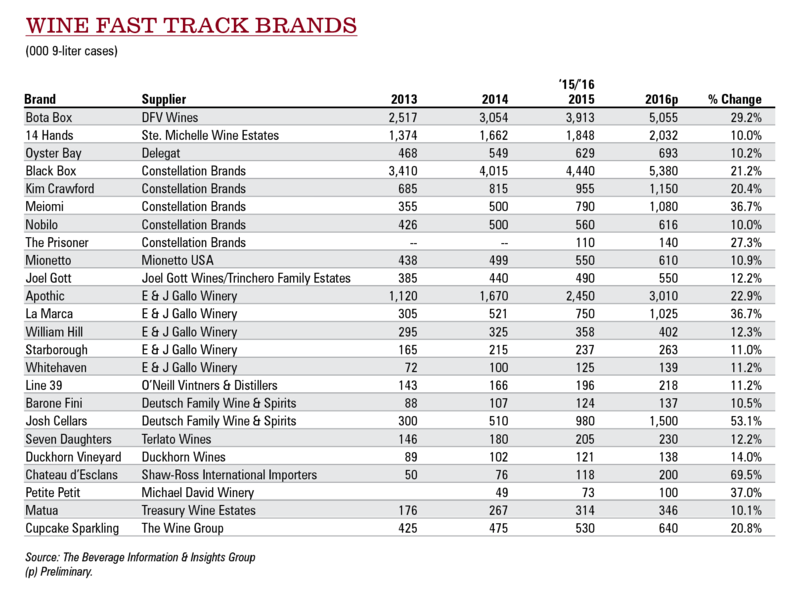 Santa Julia moved 200,000 cases last year—an all-time brand best. The brand has successfully tapped into the authentic “farm-to-table” trend with its new Malbec del Mecardo release. Launched exclusively for Whole Foods Market’s Holiday Top Ten 2016 national promotion, it was the fastest-selling wine in the program set. So too are more consumers focused on varietals that are unique, rather than from the same-old dominant regions. As red blends rise in popularity, brands that offer these products are benefitting. This includes 14 Hands from Washington. Launched in 2005 as a restaurant-only brand with three wines—merlot, cabernet sauvignon and chardonnay—the Ste. Michelle Wine Estates brand exceeded 2 million cases sold in 2016. This represents a 10% growth over 2015, and won the brand a Fast Track award. It’s all the more impressive for a label that was selling less than 1 million cases as recently as 2011. 14 Hands brand Hot to Trot red blend—the third best-selling premium red blend in the market—is helping fuel this climb, says Cary Kloster, vice president of marketing for 14 Hands. Another company that’s ridden the red-blend wave to growth is Michael David Winery. The producer’s Freakshow red blend grew an incredible 63.5% in 2016 to 139,000 cases, earning a Rising Star award. The company also makes Petite Petit. Although it’s a petite sirah (blended with 15% petit verdot), the brand is commonly placed in red-wine sections in stores and menus. That’s likely to its advantage. Launched in 2014, Petite Petit already reached 100,000 cases by 2016—thanks to 36.4% growth over 2015—and won a Fast Track award. Being considered a red blend has “opened the consumer base for this wine as people continue to experiment in this category and try new things,” says Melissa Phillips Stroud, vice president of sales and marketing for Michael David Winery. Tapping into one trend alone is not enough to reach the level of success attained last year by Michael David Winery. Other factors are necessary, including a consumer willingness to spend more on premium bottles like Freakshow and Petite Petit. Premiumization also paid dividends in 2016 for the New Zealand-based Oyster Bay. This Delegat brand took home a Fast Track award after growing 10.2% in 2016 to 693,000 cases. A number of wine brands in 2016 partnered with outside organizations and charities for win-win relationships. Segura Viudas continued its sponsorship of the U.S. Bartenders Guild, working with the group on national and local on-premise programming. Every little bit helps with promoting wine brands. The Freixenet-owned Segura Viudas won a Comeback Award in 2016 for its 8% growth to 270,000 cases, helping revitalize the brand after declines and flat sales from 2012 to 2014. 14 Hands continued its partnership with the Kentucky Derby. This included the limited-release Kentucky Derby Red Blend—plus plenty of related promotions. Chateau d’Esclans earned a Fast Track award for its continued success and upward trajectory last year. The brand’s Whispering Angel rosé is a category-defining top-seller. Overall, the brand grew 69.5% to reach 200,000 cases for the first time. We talked with Paul Chevalier, national fine wine director at Shaw-Ross International Importers, about the company’s red-hot brand. Beverage Dynamics: What’s behind your on-premise success in 2017? BD: What marketing programs and activations do you have planned for 2017? BD: What industry trends are most impacting sales of the brand right now? PC: Over 50% of our sales are with Millennials. Millennials don’t want fake brands that come from some big, wine-producing-type factory. They want authentic. And that is why Whispering Angel works. Mionetto received a Fast Track award for its recent rise up the sales charts. The brand increased sales 10.9% in 2016 to reach 610,000 cases sold (overtaking 600,000 for the first time). We spoke with Enore Ceola, Mionetto USA CEO and managing director, about the accomplishment. BD: What industry trends are helping your brand? Enore Ceola: Sparkling wines, like prosecco, are well on their way to expand beyond special occasion usage—and at very attractive price points. EC: We will again run the “Pink Cork” program to benefit breast cancer research/survival and innovative VAPs, as well as stronger merchandising and display program throughout the year. In addition, we will continue to engage our consumers throughout a robust campaign via social media, advertising and events. BD: What on-premise marketing programs and activations in 2016 led to your brand’s success? EC: By-the-glass focus has been very rewarding in the past year and the rise of cocktails with prosecco is something we have been promoting for the past few years. Our 187-ml. bottles have also been a popular item in restaurants. Terlato Wines enjoyed a robust year in 2016 as a number of their brands performed strongly. The colonially themed wine The Federalist topped 200 cases for the first time, thanks to an amazing 81.8% growth last year. Piper-Heidsieck Champagne grew 7.1% in 2016 to 45,000 cases, while sales of Le Charmel increased 12.2% in its fourth year to 22,000 cases. Seven Daughters saw another year of growth, 12.2%, finishing 2016 with 230,000 cases. We spoke with Bill Terlato, CEO, Terlato Wines, about his brand’s impressive 2016. BD: What industry trends are impacting your brands? Bill Terlato: People looking to trade up and willing to spend more for quality is benefitting brands across our portfolio. Piper-Heidsieck’s prestige cuvee, Rare, at a $180 suggested retail price, is gaining share and growing value for the brand. For The Federalist, Millennials are much more engaged with wine at an earlier age, are more willing to trade up and are helping to drive the growth of the luxury segment ($15-plus). Seven Daughters is winning with huge consumer enthusiasm for packaging innovation and access to higher quality wine in cans. Exceptional quality, convenience and portability have enormous appeal with Millennials. BD: What on-premise marketing programs and activations in 2016 led to your brands’ success? BT: Piper-Heidsieck has achieved great success on-premise with a competitively priced by-the-glass-only SKU called 1785. And we’ve created exciting partnerships with iPic Theaters and the American Express Centurion Lounge that are generating visibility with the right customers. Seven Daughters continues its on-premise leadership as the number-one by-the-glass moscato—a position we’ve held for three years and counting. The Federalist has gained huge popularity on premise by-the-glass, by-the-bottle and in kegs. BD: What marketing do you have planned for this year? BT: Piper-Heidsieck will launch a new integrated campaign called “Dash of Seduction” that will target the new generation of Champagne drinkers: upper Millennials, aged 30 to 40, with a heavy focus on digital activation. The Federalist just launched its first bourbon barrel-aged zinfandel with fantastic results. We sold out of the first vintage in weeks. This was a natural extension for the Federalist brand, and we’ll launch our second vintage next fall. Seven Daughters will continue its growth streak with the launch of Italian rosé in cans this spring—perfect timing for spring and summer concerts, festival and picnics. Tapping into the sparkling trend, Both Verdi Rosa and Strawberry Sparkletini won Rising Star Growth Brand Awards in 2017. Verdi Rosa grew 25% to hit 20,000 cases while Strawberry Sparkletini increased a whopping 317% in achieving 75,000 cases. We spoke with Michael Arons, director of marketing and brand development for Carriage House Imports, about the recent success of these brands. 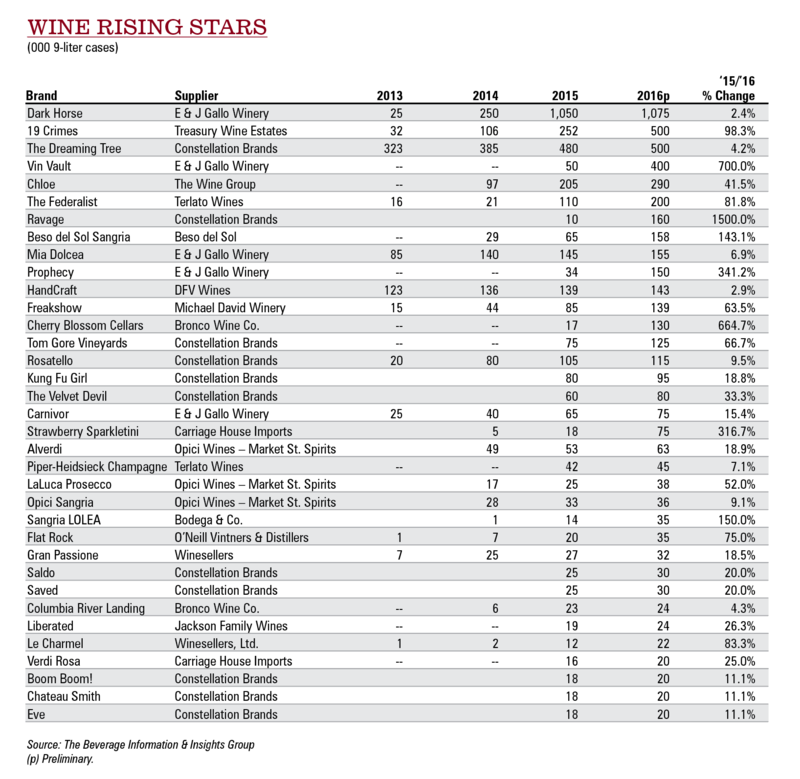 Michael Arons: The sparkling category continues to grow; however, the popularity of value-priced proseccos and moscatos threatens our marketshare. Fortunately, we are able to find a unique way to capture the value-price sparkling market segment with our unique flavor extensions. MA: In 2016 we provided on-premise accounts with the opportunity to enhance their brunch menus with “flavored” brunch Mimosa offerings. In addition to the standard Verdi-mosa we now offer delicious Strawberry mimosa opportunities. Our catering hall business has also evolved and Verdi Rosa—our sparkling rosé—has proven to be a very popular summer addition to catering-hall house sparklers. BD: What marketing programs and activations do you have planned for 2017 to build on the brand’s growth? MA: Our consumer advertising campaigns will continue to focus on Strawberry Sparkletini and Verdi Rosa during the summer months. We plan on utilizing consumer advertising vehicles such as social-media targeting, digital outdoor displays, digital couponing and attractive in-store merchandising displays. Key seasonal sampling programs are extremely important initiatives that we will continue to pursue with our biggest chain partners. Kyle Swartz is managing editor of Beverage Dynamics magazine. Reach him at kswartz@epgmediallc.com or on Twitter @kswartzz. Read his recent piece 7 Wine Trends To Watch In 2017.